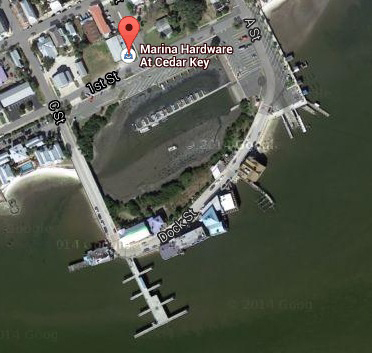 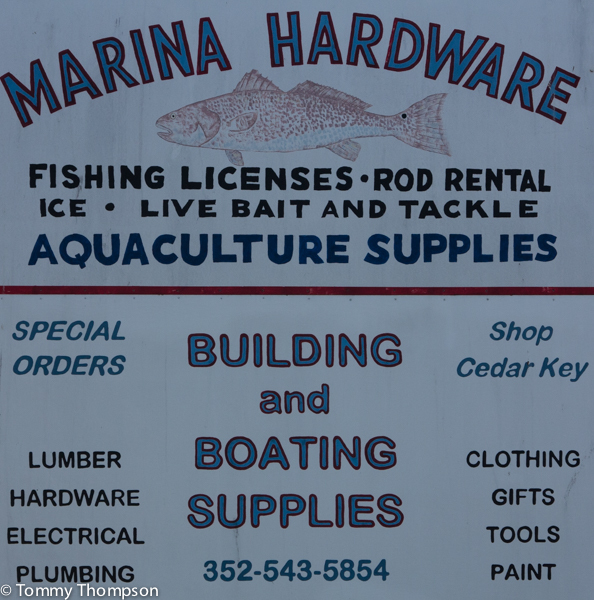 Cedar Key’s Marina Hardware is located at 401 1st Street, adjacent to the boat basin. 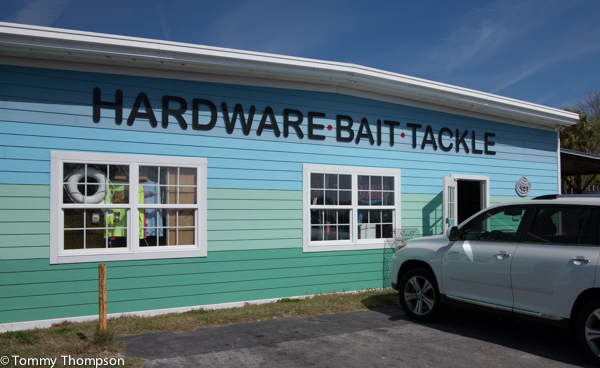 Have you ever arrived at the boat ramp or fishing pier and all of a sudden realized that you’ve forgotten your bait or an important piece of tackle? It’s happened to me on several occasions, and often there’s no solution other than going to a “Plan B”. 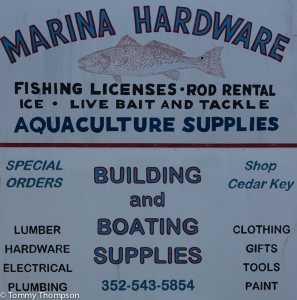 However, when it happens at Cedar Key, it’s comforting to know that the Cedar Key Marina Hardware store ,adjacent to the boat basin, has a good stock of basic tackle and bait. It’s not like going to a Bass Pro Shops store, but it’s a good, quick solution. 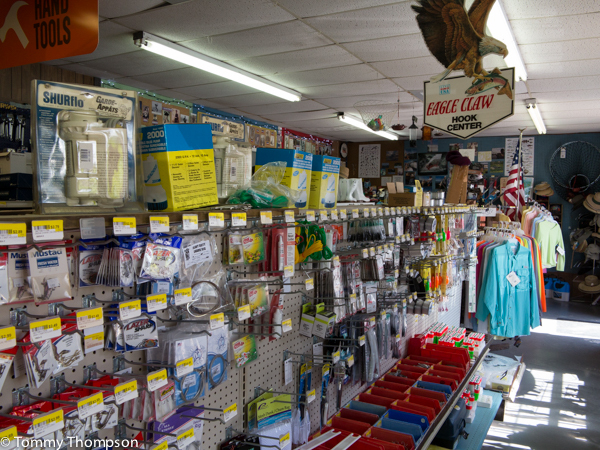 The tackle department at Marina Hardware is basic, but well-stocked and geared towards local fishing.